Ben Shalom Bernanke, the chairman of the Federal Reserve, is the dedicated Zionist Jew behind the $85 billion taxpayer-funded bailout of Maurice Greenberg's criminal enterprise, A.I.G. is deeply involved in the false flag terror of 9-11. The current financial crisis in the United States involves some of the very same Zionist criminals and entities that I pointed out in my recent chapter, "The Architecture of Terror: Mapping the Israeli Network Behind 9-11." The collapse of their criminal scams on Wall Street could result in more information coming out about the Zionist gangsters behind 9-11. Such outrageous criminal scams cannot be kept hidden for long. The government loan of $85 thousand millions of U.S. taxpayer dollars ($85 billion) to keep afloat Maurice Greenberg's criminal operation, American International Group (A.I.G. 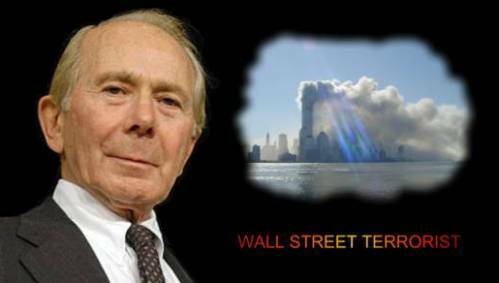 ), brings into the spotlight one of the key individuals in the Zionist criminal network behind 9-11. The criminal head of A.I.G. It should come as no surprise that the key person behind this unprecedented government bailout of A.I.G., a huge Zionist criminal operation, is himself a devoted Zionist. Ben Shalom Bernanke, the chairman of the Federal Reserve System, is another Hebrew-speaking scion of the Jewish Theological Seminary of New York City, like Michael Chertoff and Alvin K. Hellerstein. How can it be that the sons of small group of uneducated Jews from Eastern Europe, who immigrated to the Bronx in the 1900s, now control a nation of 300 million non-Jews? If you were to ask a Zionist Jew from the Jewish Theological Seminary why they control America, they would probably say: "Because we can." of Zionist criminals since the 1970s. Growing up, Bernanke attended the extremist Zionist summer camp (Ramah) of the Jewish Theological Seminary where he was immersed for months in the Zionist ideology of the JTS - in Hebrew. During college in the early 1970s, Bernanke began working directly with the Jewish political crime bosses in South Carolina. Ben Shalom (Hebrew for "Son of Peace") Bernanke went to Harvard University and graduated with a B.A. in economics in 1975. Throughout college, however, Bernanke had a very odd summer job for an Ivy League student of economics. Every summer he returned to Dillon, South Carolina, to work for Alan Heller Schafer, the well-known Jewish criminal and political boss who ran a sprawling roadside gambling and drinking establishment called South of the Border. The adjacent counties in North Carolina had been "dry counties" when Schafer originally started his drinking and gambling establishment. Such was his clout that he was reportedly able to have the route of Interstate 95 altered so it would directly pass his saloon operation. 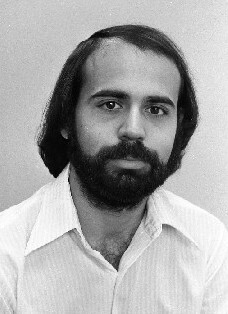 Bernanke's criminal employer during his college years. Alan Schafer was, after all, the long-standing chairman of the Democratic Party in Dillon County, where, since 1966, he ran the "state's smoothest-running political machine" by buying votes. Schafer's political machine maintained power, said Craig C. Donsanto, director of the Justice Department's Election Crimes Branch, through a "carefully controlled and sophisticated system of rigging elections," the New York Times reported in 1982. This is the crime boss that Bernanke worked for, every summer, while he studied at Harvard. "Alan didn't want any more stump meetings because they threatened his candidates," said A.W. 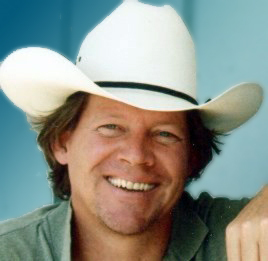 (Red) Bethea, 66, who was defeated four times in Statehouse races by Schafer-backed candidates. "If you were running against the Schafer machine without his wanting you to, you were just wasting your time." Mr. Donsanto said more than 1,000 Dillon County voters were paid $5 to $10 to sign their names to absentee ballots in 1980. In the 1980 primary, 1,500 of the 7,000 votes cast in Dillon County were absentee ballots. Two days after the primary, agents from the U.S. Justice Dept. "swooped down on Dillon County and seized the ballot boxes, touching off the largest voting fraud investigation ever conducted in the Southeast," the Times reported. After an 18-month investigation, 30 residents of Dillon County were indicted on charges of violating federal election laws, most of them for buying votes. As the head of the election corruption and vote- buying machine, Schafer was sentenced to three and a half years in federal prison. The joint state and federal investigation, which finally busted Schafer's political machine, "broke up the county's leadership elite, men who had controlled and manipulated Dillon's political process since the mid-1960s," the Times reported. The "pain and embarrassment" caused by Schafer's decades of criminal activity aimed at controlling elections deeply affected the people of Dillon County. After college, Bernanke earned a doctorate at Massachusetts Institute of Technology, where his adviser was Stanley "Stan" Fischer. Fischer, born in Rhodesia, also happens to be the current Governor of the Bank of Israel. If you look at Bernanke's biography you will find that he has spent his entire life engaged only in Zionist activities. 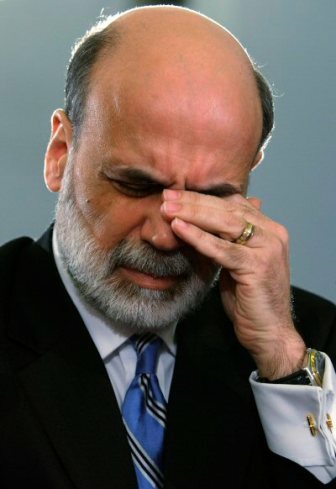 I have not found any period of Bernanke's life when he was involved in anything other than Zionism. 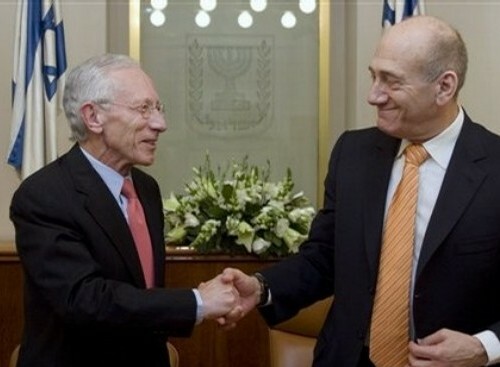 head of the Bank of Israel; here with Ehud Olmert on April 1, 2008. (I am working on an article to explain the massive Zionist criminal enterprise of A.I.G., primarily owned by Maurice Greenberg. A.I.G. is much more than insurance fraud, and there is nothing "golden" about it, except for its Israeli subsidiary's name. Greenberg's criminal enterprise known as A.I.G. is sprawling and even includes a company (ILFC) that leases and finances aircraft for the airlines and secret government missions such as "enforced renditions." 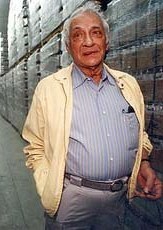 In 1993, Maurice Greenberg became a partner and co-owner of Jules Kroll's company when A.I.G. bought 23 percent of Kroll. 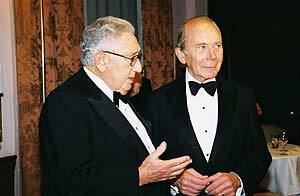 Greenberg is very close to Henry Kissinger, who became chairman of A.I.G. 's International Advisory Board in 1987. 1. Maurice Greenberg and Jules Kroll became partners in 1993, the same year Kroll Associates "was chosen over three other companies to advise the Port Authority on a redesign of its security procedures." "We have such confidence in them that I have followed every one of their recommendations," Stanley Brezenoff, the Port Authority executive director, told the New York Times in 1994. 2. Kroll controlled security at the World Trade Center complex in 2001 and was responsible for hiring John O'Neill, the former chief of counterterrorism for the FBI, who died on 9-11, reportedly his first day on the new job. 3. 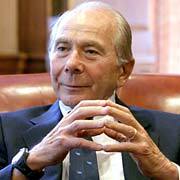 Greenberg's son, Jeffrey W. Greenberg, became CEO of Marsh & McLennan (MMC) in 1999 and chairman in 2000. The first plane of 9-11 flew directly into the secure computer room of Marsh (Kroll) USA, part of Greenberg's company. Mark Wood, an eyewitness, said: "It looked like a mid-sized executive jet and the way it turned suggested it was being aimed deliberately at a target." There is much more information about Maurice Greenberg's ties to 9-11 in "The Architecture of Terror: Mapping the Israeli Network Behind 9-11."